NOTES: This orange version two of Tripwire is commonly referred to as Listen n' Fun Tripwire. 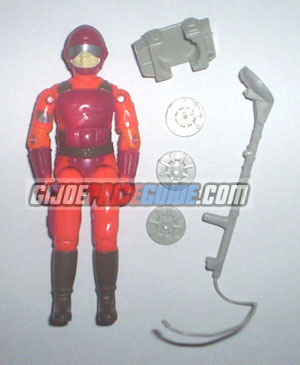 He is the same exact figure as version one but with orange plastic and grey accessories. This rare figure originally came uniquely packaged with a cassette tape.